April 2nd, 2018 // LAKEWOOD, Colo. – Oxi Fresh recently announced the launch of a new Round Rock carpet cleaning location. Led by Peter and Carrie Smith, this new location will be offering Oxi Fresh’s low-moisture, eco-friendly carpet cleaning services to the greater Round Rock area, including Williamson, Travis and Bell counties. 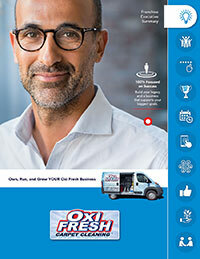 The Smiths are deeply excited to bring Oxi Fresh’s modern carpet cleaning system to their friends and neighbors. Unlike traditional cleaning systems, the Smiths won’t rely on saturating the carpets with 40-60 gallons of water in order to get them clean. Instead, their Round Rock carpet cleaning method employs a combination of an oxygenated booster, an eco-friendly encapsulator, and a revolutionary cleaning machine. Together, this process breaks down dirt, captures it in microscopic crystals, and then lifts this all up and out of the carpet and into the machine. This process has earned Oxi Fresh over 128K reviews averaging at 4.6 out of 5 stars. For the Smiths, the Oxi Fresh system was perfect. “We are clean freaks – even with two kids running around our house is always spotless. We wanted to help other families find their clean,” said Carrie Smith. Another reason these Round Rock cleaners were excited to start with Oxi Fresh was because of the brand’s eco-friendly nature. The company has billed itself as The World’s Greenest Carpet Cleaner®, and it’s easy to understand why. Their carpet cleaning process in Round Rock conserves an estimated 95% of the water that would be lost in a traditional steam cleaning process. In one home, that would amount to 38-58 gallons of water saved; overall, Oxi Fresh estimates they’ve saved roughly 35,000,000 gallons of water. Peter and Carrie are very much looking forward to their new Round Rock company, because for them, owning their own business was always a goal. Originally, Peter and Carrie were living in Barrie, Ontario, north of Toronto. After visiting family down in Texas, the Smiths decided to leave their current careers, immigrate to Austin, and open their own Oxi Fresh location. To read the original article on Franchising.com, click here. To learn more about owning your own carpet cleaning franchise, click here. 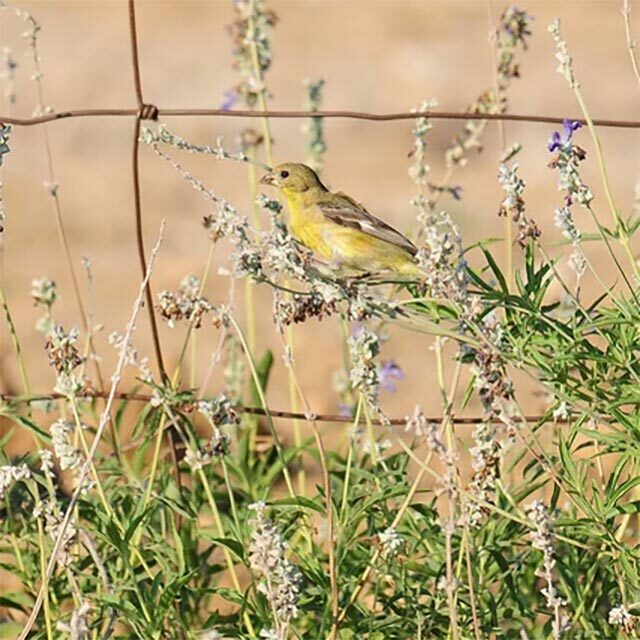 The image is Lesser Goldfinch by Vince Smith. It is licensed under CC BY 2.0.